We are committed to keeping your personal information private. Youghiogheny Mountain Resort will not sell, distribute or share any personal information you provide. Any personal information we possess will be used for the sole purpose of administering the relationship between yourself and Youghiogheny Mountain Resort. Certain information in this site connects to other people, companies and websites maintained by third parties over whom Youghiogheny Mountain Resort has no control. Youghiogheny Mountain Resort makes no representations as to the accuracy or any other aspect of information contained in our or any linked websites. 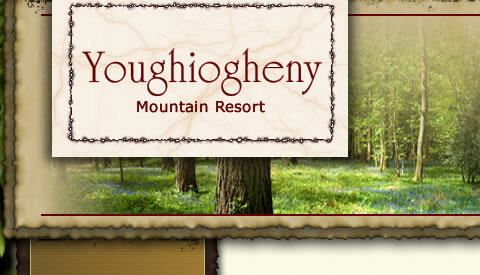 In no event will Youghiogheny Mountain Resort, its related users, officers, owners, vendors or employees thereof be liable to you or anyone else for any decision made or action taken in reliance on the information in this website or for any consequential, special or similar damages, even if advised of the possibility of such damages. Always exercise proper care by consulting with appropriate professionals. The contents of the Website do not constitute advice and should not be relied upon in making or refraining from making, any decision. You may not create a link to this website from another website or document without Youghiogheny Mountain Resort‘s prior written consent. Attempting to impersonate any person associated with Youghiogheny Mountain Resort. You may be assigned an account and password in order to access certain areas of this website. You are responsible for maintaining the confidentiality of the password and account and are fully responsible for all activities that occur under your password or account. You agree to immediately notify Youghiogheny Mountain Resort of any unauthorized use of your password or account or any other breach of security. Youghiogheny Mountain Resort cannot and will not be liable for any loss or damage arising from your failure to comply with this section. Any information, data, text, photos or content submitted for posting on this website will be considered non-confidential and non-proprietary and you warrant and represent that your submitted item is your own original work, that you alone own copyright, that it is an authentic and accurate depiction of the subject matter presented and that no other party has any right, title, claim or interest. 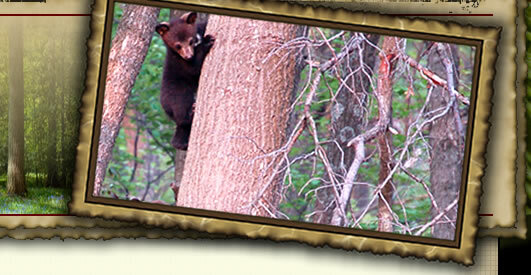 Youghiogheny Mountain Resort will have no obligations with respect to such submissions. Youghiogheny Mountain Resort and its designees will be free to copy, disclose, distribute, reproduce, incorporate and otherwise use your submission.